We’ve chosen the best versions of this meaty goodness. 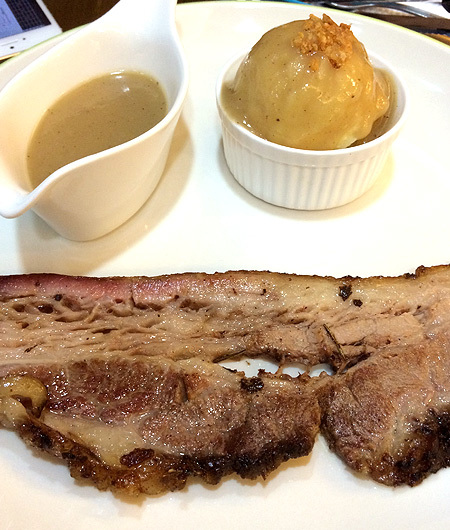 (SPOT.ph) Roast beef seems like an easy dish on paper, but mastering this beloved comfort food is no easy feat. You have to choose the right cut of beef, spice the meat well, cook it perfectly so it comes out moist and tender, and whip up the extras: gravy, vegetables, carbs of choice. It’s practically a labor of love, but when you do get it right, all your efforts will be worth it. Well-done roast beef need not drown in sauce in order to taste good, and Dome Cafe’s Roast Beef Belly definitely passed this test. Their beef is savory even sans gravy, making you want to chow down even the sinful trimming of fat on the sides. Duck and Buvette’s melt-in-your-mouth briskets are guaranteed to make you kiss your diet goodbye. Impossibly tender and packed with smoky flavor, you’ll have a hard time not licking your dish clean. Go ahead and order a second serving—we promise, we won’t judge! 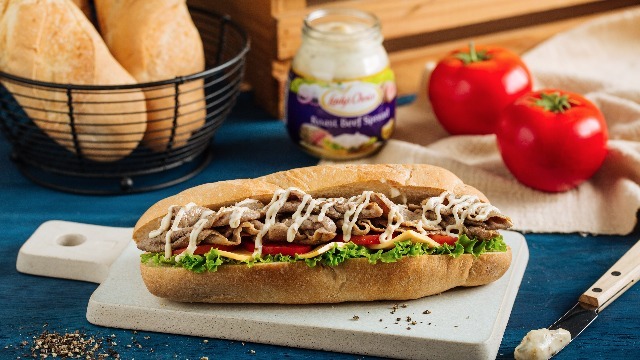 Not everyone has the time and budget to go to restaurants just to satisfy their roast beef craving, but the good news is you can have it every day with Lady's Choice Roast Beef Sandwich Spread! Made with real beef, this spread gives you that mouth-watering roast beef taste. 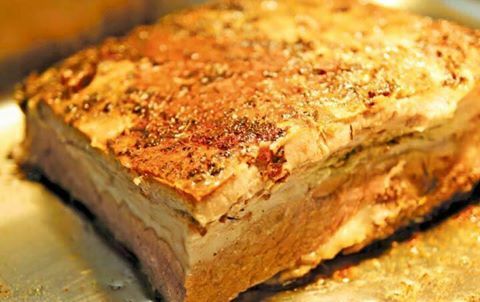 It makes a great baon for school children, and is a hearty and easy-to-make midnight snack for professionals who find themselves burning the midnight oil. Each bite beings out the savory goodness of roast beef that will keep you coming back for more. Click here for the complete recipe! Grace Park’s interpretation of roast beef doesn’t disappoint, which is not surprising given that this restaurant is helmed by Margarita Fores, who was recently crowned Asia’s Best Female Chef. The roasted muscovado sugar provides a nice contrast to the perfectly savory cut of meat presented to you, rendering the salty-sweet dripping sauce on the side optional. 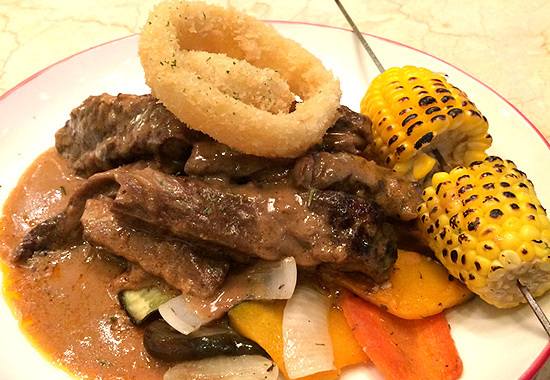 Balance out the sinfulness by eating all the vegetables accompanying your beef! 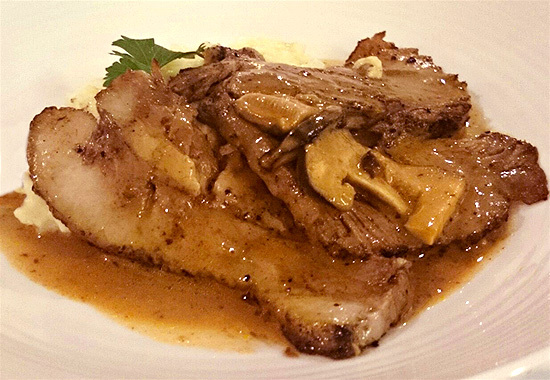 Stella’s roasted beef belly might be covered by a blanket of olives, mushrooms, gravy, and other ingredients, but the meat’s flavors still shine through. So tender you can eat it using just your fork, with a distinct but never overpowering hint of truffle, it’s guaranteed to be one of those dishes you’d daydream about frequently. This unassuming restaurant in the heart of the South may not look like much from the outside, but one bite of their Angus Roast Beef will have you coming back again and again. The meat is chewy and savory, with a good mix of herbs and spices, and the gravy is just as scrumptious. 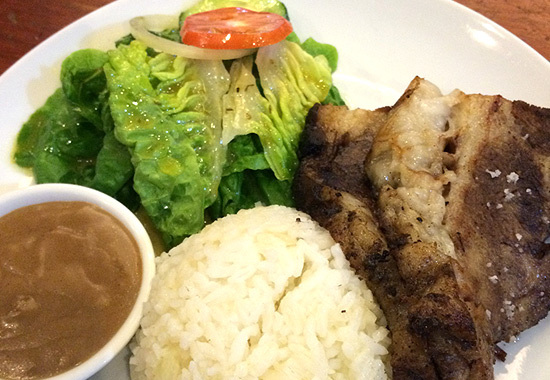 The best part, though, would be the price: for only P258 for unlimited sides, you just can’t go wrong here. MoMo Cafe’s roasted beef fingers have a lot going on, but it’s a great option if you’re looking for comfort food with a twist. 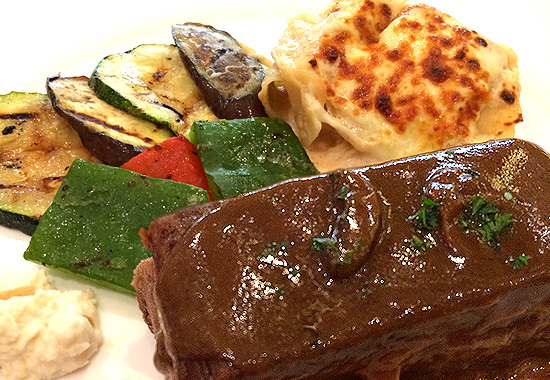 Tender ribs rest on a bed of roasted vegetables, with mildly spicy gravy tying it all together. The corn on the cob and the onion rings, meanwhile, provide the perfect textural foil. If you’re in the market for a filling, budget-friendly meal, the Beef Barn’s Rice Meals are a great option. 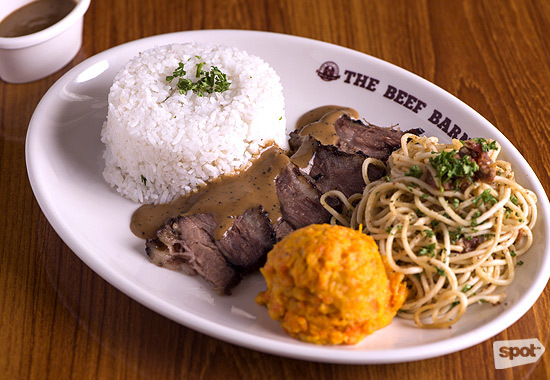 Their Angus Roast Beef Rice Meal is a crowd-pleaser, with an irresistible smoky-savory profile. Tone down the meat’s robust flavor by dipping it in the accompanying gravy! Roast Beef from Olympia's Gourmet "House of Roast Beef"
Olympia’s Roast Beef, which is cooked in red wine, is the stuff your carnivorous cravings are made of. Each forkful delivers peppery-savory perfection, making it a meal you won’t mind having over and over again. If you’re lucky enough to catch them in food fairs, make sure to get your fill! Any cook worth his salt knows that for the ultimate in juicy, succulent meat, slow cooking is the way to go. And when your meal has been cooking for a whopping 10 hours like Bizu’s Roast Beef, you know you’re in for a treat. 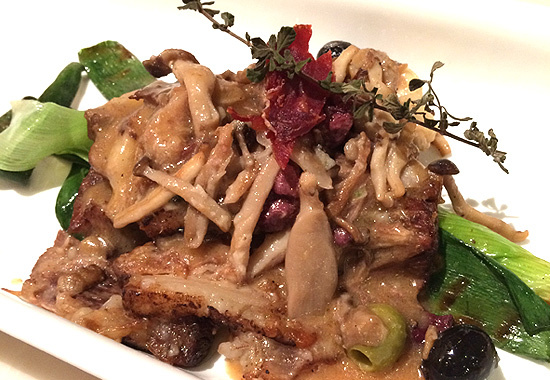 Lean, tender and perfectly seasoned, each forkful will convince you to return to Bizu ASAP. 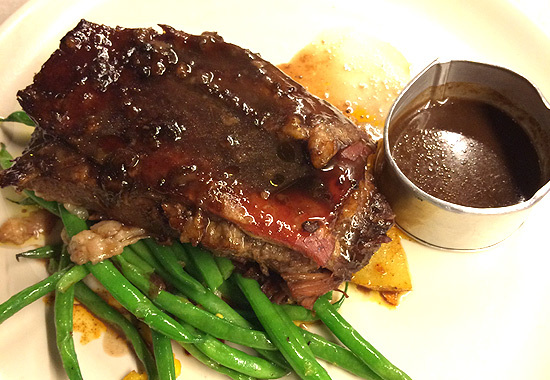 You won't be without options for a great roast beef dish after checking out this list. But remember: only one entry on here can be made any time and anywhere. To quickly and conveniently satisfy your roast beef fix, make sure to keep a bottle of Lady's Choice Roast Beef Spread handy in your kitchen. Get roast beef goodness in every savory bite!